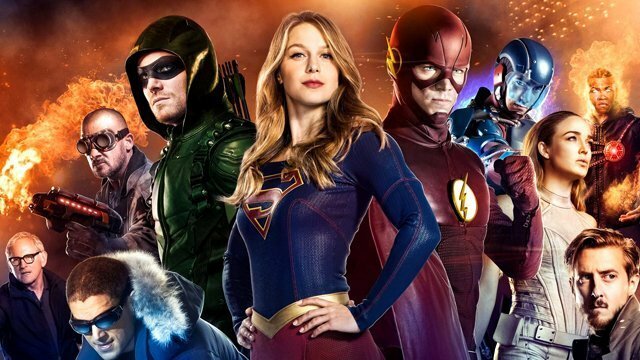 From their panel at TCA, The CW has revealed some new details about their upcoming crossover between Supergirl, The Flash, DC’s Legends of Tomorrow, and Arrow. RELATED: Comic-Con: New Supergirl Casting Announced, Plus Season 3 Trailer! The event will cross all four shows but only takes place across two nights instead of four. Unlike last year when the event began during the closing minutes of Supergirl, The CW’s 2017 crossover will kick off during the girl of steel’s episode on Monday, November 27, with Arrow moving from its Thursday night spot to a special Monday airing for the event. Supergirl will premiere the event during its usual 8 PM time slot, with Arrow following at 9 PM. The first two episodes will be followed by The Flash and DC’s Legends of Tomorrow on Tuesday, November 28 at 8 PM ET and 9 PM ET, respectively. The shows are all set to return to the network the week of October 9, kicking off with Supergirl at 8 PM that Monday. Tuesday, October 10th will see the Season 4 premiere of The Flash followed by the Season 3 premiere of DC’s Legends of Tomorrow. Finally, Arrow shifts to a new date and time and will premiere its sixth season on Thursday, October 12 at 9 PM.